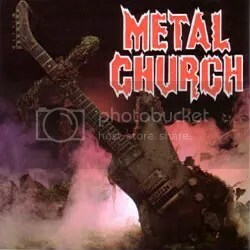 I’ve never had much of an impression of Metal Church. I bought The Dark many many years ago and that’s all I’ve ever bothered with. Normally, I probably wouldn’t have even tried out this album, but I saw it make a few ‘best of 2016’ lists and decided I’d give it a shot at the last minute. Wow! I’m glad I did. It’s much more melodic than I imagined it would be. I expected an old school power metal sound, and that’s here, but there’s a lot of melody and hooks as well. No song epitomes what I’m talking about better than “Sky Falls In”, which is a groove-laden mid-tempo rocker that I just can’t enough of. “Shadow” supplies the same type of vibe. 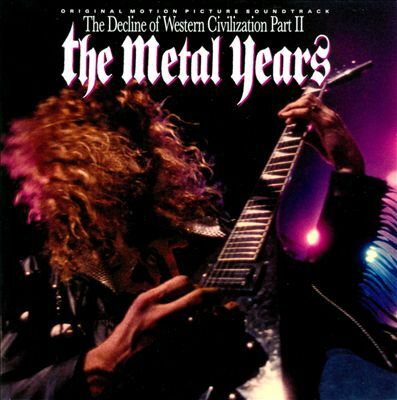 But then there’s the vintage power metal moments like “Needle and Suture” and “Killing Your Time”. Another highlight is the moody “It Waits”. It strikes me on this song that Mike Howe isn’t just a great singer, he’s a great performer. Longtime fans are saying XI is one of the band’s best outings and compares favorably to their earlier material. I’ll definitely be digging back into Metal Church’s catalog to find this out for myself. I have owned Metal Church’s second album, The Dark, for YEARS. For whatever reason, I was never a fan of it but constant praise for this group has convinced me to start from the very beginning. And what an album this debut is! Classic metal through and through as the band uses a more melodic brand of thrash and speed metal while also employing power metal as well. Songs like “Beyond the Black”, “Metal Church” and “Battalions” are out and out metal classics that I have lived far too long without. They even do a great amped up version of “Highway Star”. It’s amazing that even with just this one album, the band wasn’t able to become metal superstars. They were even on the same label as Metallica… why didn’t this work out ?!? And that cover? Man, that cover is one of the most metal and evil looking album covers of all time! Again, this is one of those great classic metal albums where I’m really at a loss for words other than to say that I think it’s great. I’ve even ordered a few more Church CDs and plan on revisiting The Dark in the near future.